Having a strict immigration policy is not a sign of intolerance, according to the UKIP candidate for Harrow East. Speaking in an exclusive interview with Stanmore Politics before the general and local elections this Thursday, Abhijit Pandya emphasised that critics have no basis for calling UKIP intolerant. “A strict immigration policy in fact can ensure social cohesion and preserve toleration,” he said. Pandya, a tutor of international law at LSE who grew up in the Harrow area, added he supported a strict cap on immigration. Following on from the furore of a hustings event last week, he said there were huge differences between UKIP and the BNP. “The fundamentals of our understanding of Britishness is not based on ethnicity but on common shared values of liberalism, toleration and democracy,” he said. The former Conservative campaigner said UKIP could offer a clear position on Europe which was not anti-European ‘in a derogatory or prejudiced way’. He said he wanted to make people aware ‘that we are not a one issue party’ and called for more vocational training for children and an economic revival for small and large businesses. “I also want a Harrow that is free of property related crime, like burglary and thefts,” he said. “This is by ensuring that police are not burdened with administrative difficulties. Pandya went on to describe a 50 per cent tax as ‘simply nationalised theft’ and called for a Royal Commission on climate change ‘to ensure Government spending in that area is used honestly’. “We should not have the inordinate overseas aid budget that the Conservatives and Labour have signed up to in a time of economic crisis,” he said. He said that politicians put too much emphasis on soundbites trying to please the public, rather than facing difficult arguments. Still not decided who you’re going to vote for? Read the Stanmore Politics interview with incumbent Labour MP, Tony McNulty, here. 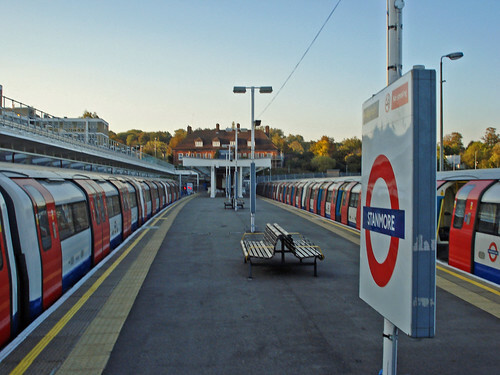 As regular Stanmore Politics readers may have noticed, there has been some controversy in the aftermath of last week’s Harrow East hustings. Some in the audience felt Labour candidate Tony McNulty had slammed his UKIP opponent, Abhijit Pandya, as being ‘a BNP man in a suit’. “I said that given his comments, it was no wonder that people called the UKIP the BNP in a suit. The incumbent MP also said he did not remark on Pandya’s roots, but wanted to make clear that ‘multiculturalism is about everyone celebrating their roots within a British context – not separatism’. In 2005 UKIP won just 757 votes in Harrow East, a 1.8 per cent share. Read the complete guide to Thursday’s elections here. UKIP swing for Harrow East? Could Harrow East veer even more to the right than we might expect next Thursday? Douglas Murray has blogged on the Telegraph about what he calls the ‘scandalous insult’ made by Tony McNulty to fellow Harrow East candidate Abhijit Pandya. The Labour MP also accused Pandya, who was born in Harrow and grew up in London, of having forgotten his roots. “He is a fellow in law at the LSE. As well as being academically distinguished, he is hugely intelligent and likeable. He is also admirably unafraid of tackling difficult issues. Murray ended his post by remarking that putting ‘Brown and McNulty’s recent performances together and you can see why’ voters are moving to fringe parties like UKIP. Last week, the McNulty comment prompted a flurry of reader reaction on Stanmore Politics. Saurav Nangalia: said the remark was offensive and made ‘the very point that Pandya was trying to get across’. “Abhijit is the only candidate who was born and bred in the constituency so who the hell is McNulty to tell him what his roots are? Based on this, will UKIP enjoy increased success next week at the polls? In 2005 the party won 1.8 per cent of the vote, or 757 votes. Read my top ten political gaffes on Times Online here. Nearly two thirds of voters in Harrow East are from ethnic minorities, but despite these groups being politically active they are still undervalued and poorly represented, new research shows. In a study released last week, a Warwick university academic shows that the ethnic minority vote will be more important than ever before in the upcoming election but Britain must still do more to encourage their role in the national debate. Professor Muhammad Anwar, from Warwick’s Centre for Research in Ethnic Relations, notes that ethnic minorities are nearly on par with white voters when it comes to voter registration and that as a group they have above average turnout in elections. Harrow East has the highest proportion of the ethnic minority vote in the country, and is one of 25 constituencies where more than 40 per cent of people come from a minority group. With 66.3 per cent of the area’s population categorised as from a minority in the 2001 census, Harrow East is far above the national average of one in ten. Yet even for the national average, minority groups remain badly represented in the political process. There are only 15 MPs of ethnic minority origin, and just double this figure in the larger House of Lords. While nationally voter turnout has plummeted in recent years, it is rising amongst minority groups. Just 61.4 per cent of people turned out to vote in the 2005 election, but for Bangladeshi voters it was per cent, with 70 per cent of Pakistanis and 67 per cent of Indians voting. Professor Anwar said this trend would continue among Asian and particularly among Muslim groups. He said this was because British Muslims had become a focus of the media and of politicians. “Muslims themselves have become more conscious of their rights and responsibilities as British citizens, including participation in the electoral process,” he said. He said that rising political participation should also be matched by rising representation. “The effective representation of ethnic minorities in politics is crucial to the achievement of equality of opportunity across our society,” he said.